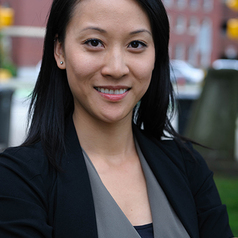 Pauline Voon, RN, BSN, PhD(c) is a Registered Nurse, Research Associate with the Addiction and Urban Health Research Initiative, Associate Director of the St. Paul’s Hospital Goldcorp Fellowship in Addiction Nursing, and Doctoral Candidate in the School of Population and Public Health at the University of British Columbia, where is a Vanier and Trudeau scholar. Her primary research interests include chronic pain among people who use illicit drugs, prescription opioid misuse, HIV/AIDS, and addiction treatment, while her nursing practice in hospital, community, global health and research settings has focused on health promotion among vulnerable populations with complex health issues including HIV/AIDS and addiction. Currently, Pauline’s research focuses on chronic pain among individuals with a history of substance use. Her work aims to investigate the role that clinical pain management practices may play in driving prescription opioid and other drug use, high-risk drug use behaviors, and health outcomes among people who inject drugs. Her research is conducted with the CIHR and US NIH funded Vancouver Injection Drugs Users Study (VIDUS) and AIDS Care Cohort to Evaluate Access to Survival Services (ACCESS) cohort studies. Pauline has won several awards for her research, leadership and academic achievements, including the Pierre Elliott Trudeau Foundation Doctoral Scholarship, CIHR Vanier Doctoral Scholarship and Frederick Banting and Charles Best Masters Award, the Dorothy J. Kergin Fellowship from the Canadian Nurses Foundation, and the Faculty of Medicine Graduate Award from the University of British Columbia.